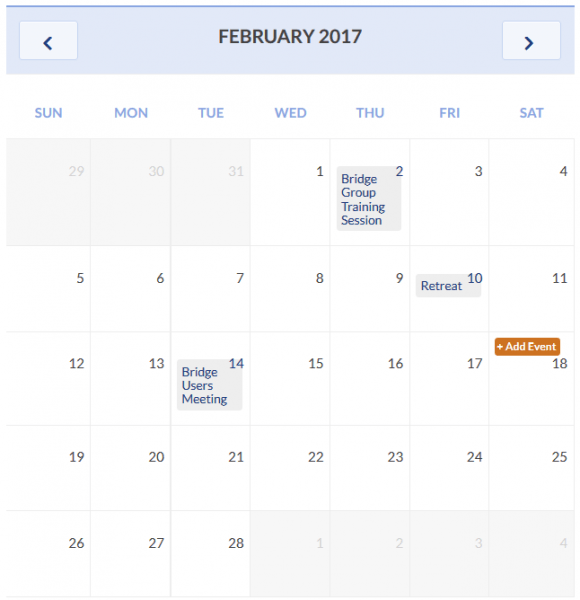 Within a Bridge group, members can add and manage events on a group calendar. Navigate to your group’s home page and click on the Events tab to view the group calendar. 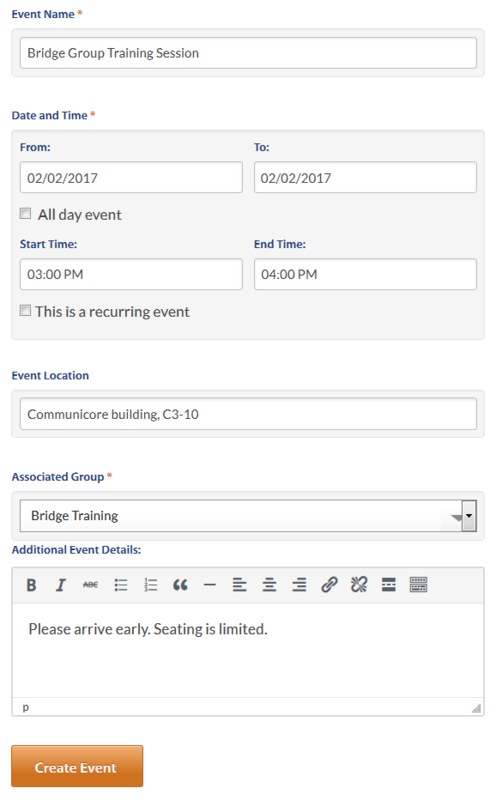 To add an event, click on the Add Event button below the group’s navigation tabs. Or, you can hover your mouse over group calendar and select the Add Event button that appears over each day of the month. Fill-in the event information and check to make sure the correct Associated Group is selected for the event so other group members can view the event. Click on Create Event and your event will be published to the group calendar. 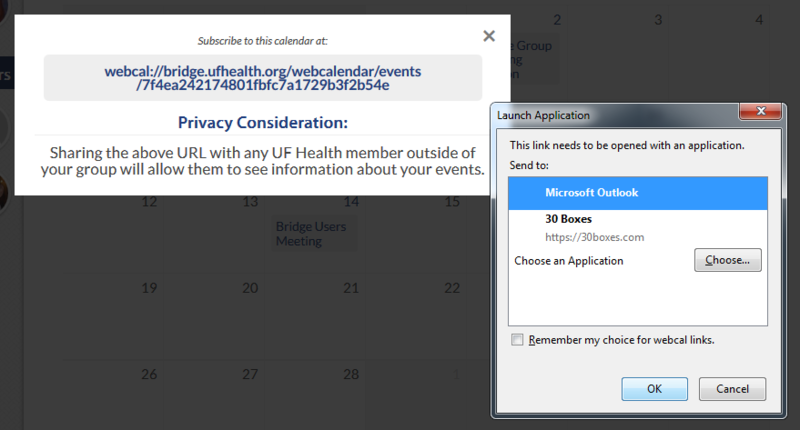 Adding the group calendar to your Outlook client gives you access to view all group events without access to Bridge. To add a group calendar to your Outlook client, click on the Subscribe button below the group’s navigation tabs. A box will pop-up with a link to the group’s calendar and a warning about sharing the URL outside of the group. Click on the calendar’s URL. 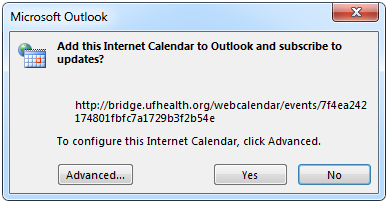 A window will pop-up asking to open the link in Microsoft Outlook, click on OK.
Outlook will prompt you to subscribe to the calendar and automatically update events.